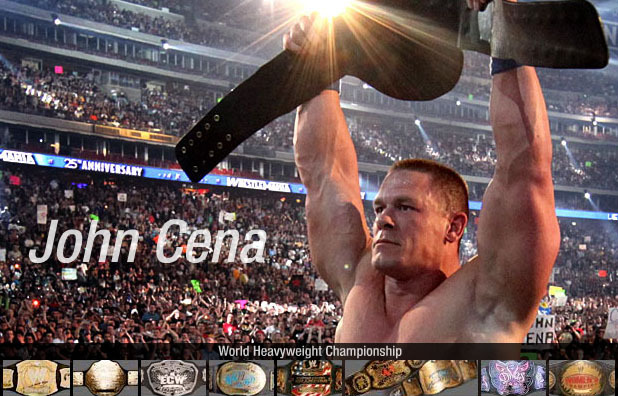 HOUSTON - In front of a packed Reliant Stadium, John Cena regained the World Heavyweight Championship by defeating now former World Heavyweight Champion Edge and Big Show. 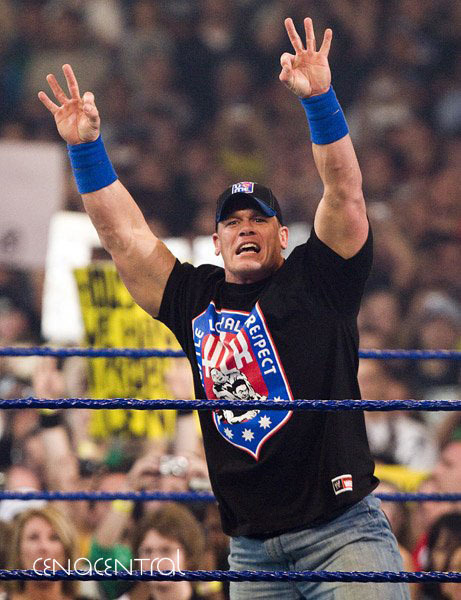 trademark catchphrase, "You Can't See Me". 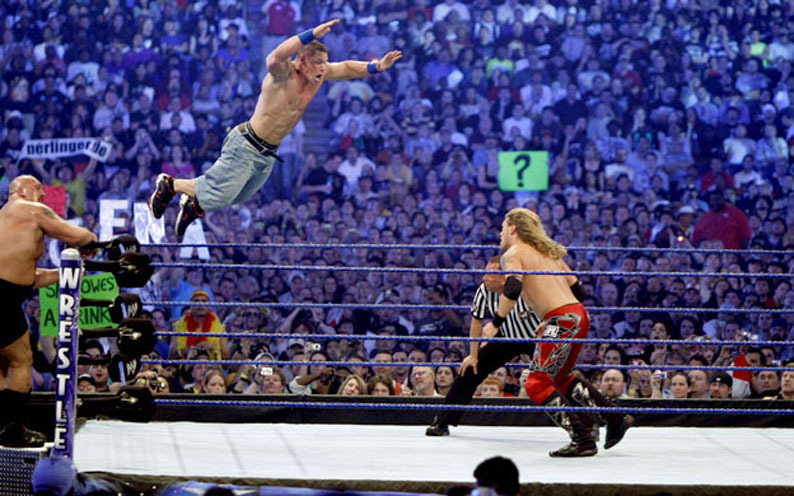 As far as the eye could see, dozens upon dozens of Cena lookalikes - all wearing his Hustle, Loyalty, Respect shirt- came out and parted ways as the genuine article came out and saluted Reliant Stadium. 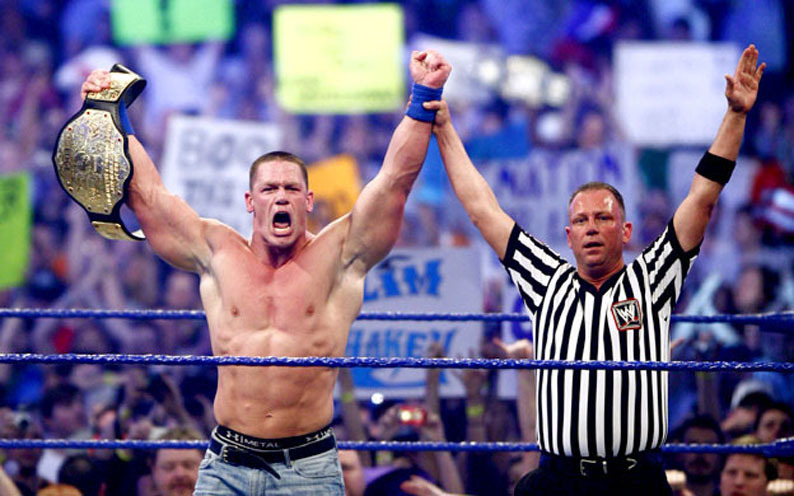 Though the odds were stacked against him this Sunday night, Cena's lookalikes and fans cheered him on as he raced down to the ring, refusing to be daunted by the task at hand. 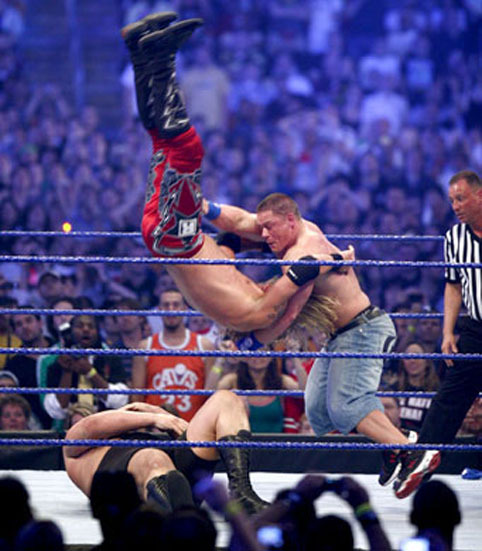 After waging a brutal war with his opponents, Cena summoned from deep within and hit the Rated-R Superstar with an Attitude Adjustment. 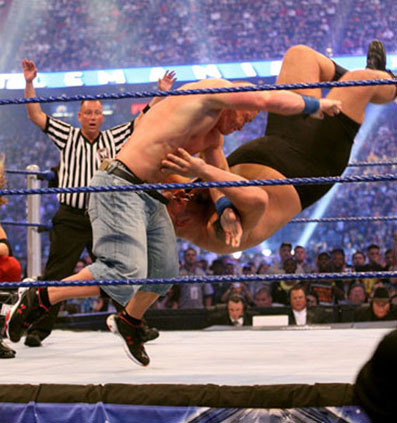 Next, he hoisted then 400-pound plus World's Largest Athlete atop his shoulders and - with the 70,000 in attendance cheering him on - Cena dropped Big Show with a thunderous Attitude Adjustment. 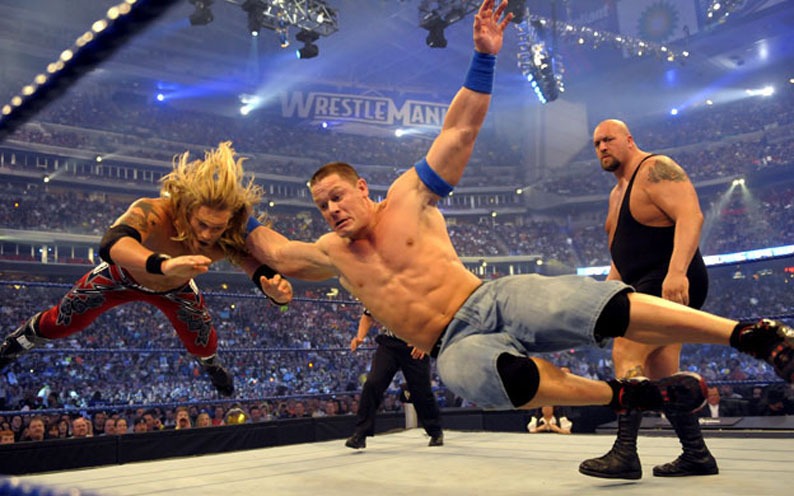 After the carnage, Cena pinned Big Show to regain his gold. 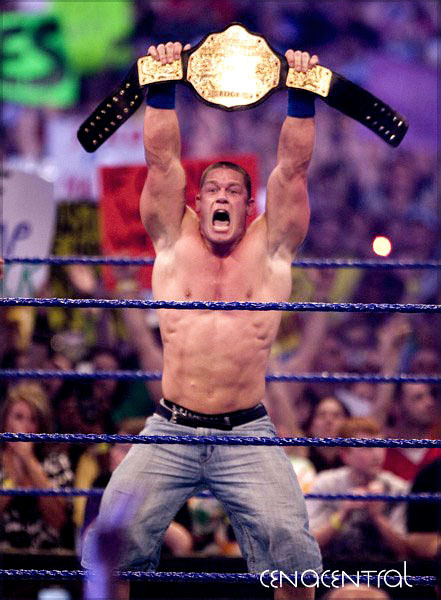 The exhibition of brute strength caused the WWE Universe to erupt in raw emotion, putting their stamp of approval on Cena at one of the most historical events in WWE's history. 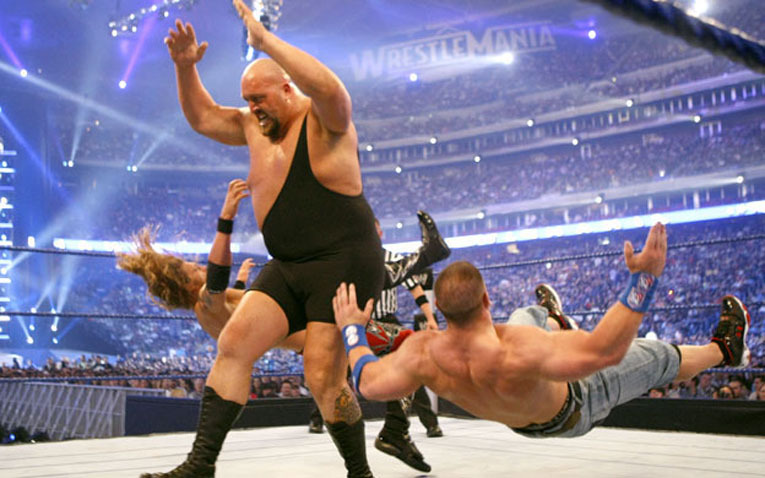 BIG SHOW USES HIS POWER TO PUT CENA ON THE MAT! 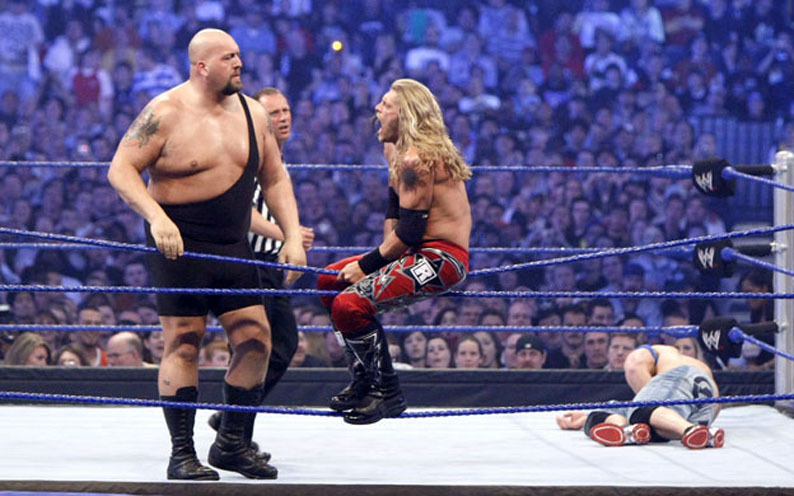 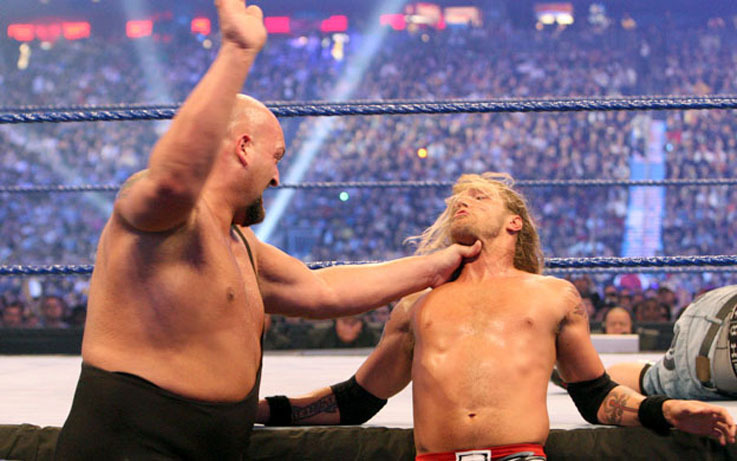 BIG SHOW ATTEMPS A DOUBLE CHOKESLAM! 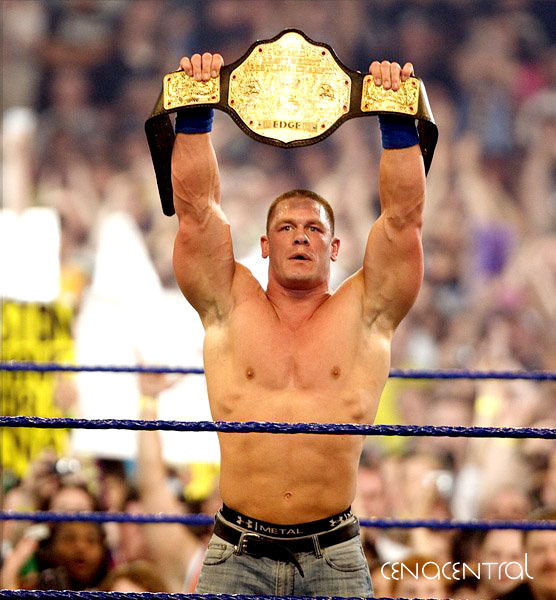 JOHN CENA THE NEW WORLD HEAVYWEIGHT CHAMPION!